The Florida Keys actually don't run North to South! Instead, they meander southwest along a single roadway called US1 also known as The Overseas Highway.. The gulf side of the Florida Keys is actually the Florida Bay and is connected to Gulf of Mexico. This is sometimes called the “back country“. The Atlantic side is really the Straits of Florida with Cuba being the next land mass before entering the Atlantic Ocean. Just past the Florida Keys Reef is the Gulf Stream. This is an area of spectacular sports fishing as well as scuba diving. The Florida Keys run from Biscayne Bay all the way to the Dry Tortugas which is about 180 miles. From Key Largo to Key West, US 1 is actually 106 miles with Mile Marker Zero, the end of the road, being located in Key West. This famous Florida Keys two lane road was originally built by Henry Flagler in the 1930’s and replaced his Florida East Coast Extension railroad lines which was destroyed by a hurricane in 1935. It is also the location of the famed seven mile bridge which spans Marathon Key to Big Pine Key. All drinking water flows into the Florida Keys within a single 36-inch diameter pipe. And all electricity travels down an overhead power line from Homestead, Florida located on the mainland. Kind of like a giant garden hose and extension cord. “Keys” comes from the Spanish word cayos, meaning little islands. The word "key is also associated with tiny islands elswhere in Florida such as Cedar Key Florida, Siesta Key Florida,Key Biscayne Florida and others. The Florida Keys are indeed little as well as fragile. Some people incorrectly refer to this caribbean island chain as Florida Key, but really it's made up of thousands of small, individual islands. Many endangered species are located within the Florida Keys as well as an abundance of migratory birds. The Florida Keys diving is amazing from Key Largo To Key West as is the sports fishing, and both are main stay attractions for both tourists and vacation travelers alike. There is an abunadnce of travel information available in KeysTV.com so sit back and take an online vacation in The Florida Keys right from your computer. KeysTV is committed to promoting tourism and quality services in The Florida Keys and Key West by creating high definition vacation videos that steam on the internet. In entertaining short video episodes, KeysTV shows you the newest and most exclusive travel vacation destinations that The Florida Keys Key West have to offer, always free and on demand. Our expert video travel hosts take you behind the scenes for a look into The Conch Republic lifestyle and the diverse Florida Keys and Keys West people who define it. 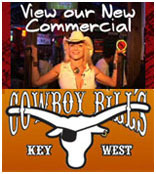 Don't forget to log in to www.KeysTV.com every day and stay up-to-date on our most recent Florida Keys and Key West video segments and video news programs. 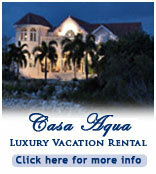 Join us for a complimentary online vacation from KeysTV.com! The Florida Keys and Key West, we're flip flop friendly!